Antica Brianza Alloggi i Bergamo, Italia: Bestill nå! Antica Brianza Alloggi is located in the centre of Bergamo at the foot of the historic part of the city. breakfast served every morning on request Antica Brianza Alloggijust 2 km at archaeological museum, Adriano Bernareggi,Accademia Carrara and stadium Atleti Azzurri d’Italia. 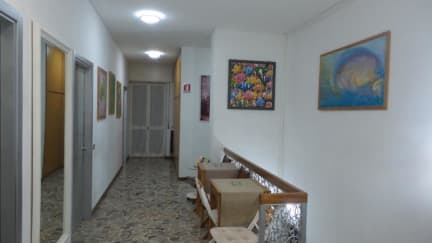 Antica Brianza Alloggi offers rooms with balconies and features a furnished terrace is shared, a reception open 24 on 24 and free WiFi .Rooms are decorated in a contemporary style include satellite TV and shared bathroom with hairdryer and complimentary toiletries.